Following seven successful years of being a premier shopping destination of Vanderbijlpark and the Vaal Triangle, Vaal Mall will undergo a substantial 20,000sqm expansion in 2014. Co-owned by Sycom Property Fund and Changing Tides, a Flanagan & Gerard Property Investment company, the R450 million project will see the centre expand from its present 50,000sqm to 70,000sqm. The anticipated start date is 1 February 2014, and the expansion will include upgrades to the existing mall, ensuring a consistent, fresh and modern look and feel throughout the centre. 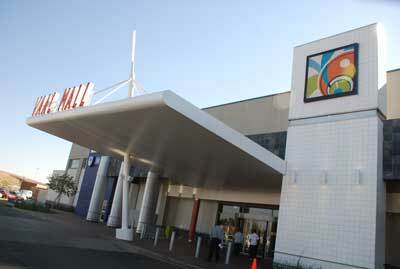 Vaal Mall’s major retailers are growing with the centre. Game, Edgars, Woolworths, Truworths, Foschini, Dischem and Mr Price will see a sizeable increase in floor space, offering shoppers greater variety and choice. Adding to the already diverse tenant mix at Vaal Mall, Ster-Kinekor will introduce a cinema complex, offering visitors a welcome entertainment option. Vaal Mall remains a popular choice for shoppers and retailers alike, and demand for space has risen steadily since the mall’s opening in 2006. Vaal Mall’s expansion will also see Wakaberry and the Cotton On Group make their debut in the centre. Besides greater shopping variety, customers will also enjoy the convenience of a mezzanine parking level as well as rooftop parking for direct access to the cinemas. Vaal Mall’s strong financial performance, solid trading densities and footcount of nearly 10 million shoppers a year, growing by 6% year-on-year, underpinned the decision to expand the shopping centre. Will SA Retailers Follow Woolworths And Pull Out Of Nigeria?